So, I had a job interview recently. It was the first one I’d had for a while. It was particularly nervewracking for me because a) the job was a big step up from my current role and b) it was in a completely different institution. But you know what? I actually really enjoyed the experience! Even if the outcome wasn’t what I hoped for, I had a great time. So what did I do beforehand to help calm my nerves? 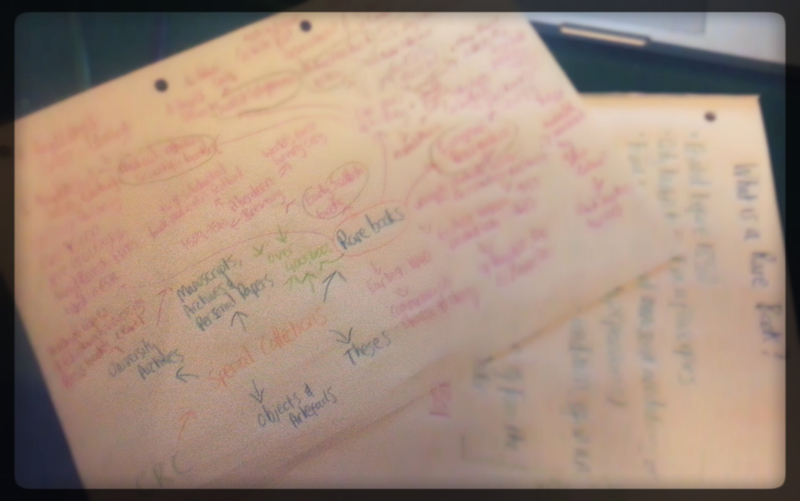 Learning about your potential employer is even more enjoyable if you use colour! Knowing about your prospective employers is a brilliant way to help remove your job interview fear. Sometimes this research is part of the interview process (i.e. if you have to give a presentation), but more often than not it’s secondary, and very easy to overlook. What to research? Find out about the department you’re hoping to work for: who they are, where your role would fit in, what projects they’re working on, who they’re supporting and how. For library/archive jobs, uncover what they hold. Explore their catalogues online. Learn about the institution: its history, how many people study/work there, what its strengths are and its values and strengths. Why is researching so important? Because it helps level the playing field between you and your potential employers! You probably won’t be asked about all you know, but knowledge is a massive confidence booster. If you can drop in a little of what you’ve learnt as part of a response – or as one of the questions you ask them – it impresses. Additionally, it helps you decide if the job is right for you – and that’s a massive part of the interview process that often gets overlooked. This is a bit of a tricky one, and obviously it depends on your reasons for wanting to leave your current job. But if your reasons for leaving are more along the ‘wanting-to-develop-career’ lines rather than ‘I-would-rather-be-working-in-a-sewage-factory’ vibe, then getting your colleagues’ support can be hugely beneficial. What to ask them? Anything you feel comfortable with! Ask if you can have a mock interview, find people to listen to your presentation, consult people who work in the area you’d like to be in or at the career level you’d like to aim for. More often than not, people are flattered to be asked for advice. I have found librarians in particular to be very friendly and helpful in this respect – everyone knows how tough it can be to develop a career in this field. If you are willing to be flexible with your time, other people can often squeeze you in for a coffee – and even if they can’t help you directly, you’ve probably gained a new contact for the future! Yay! 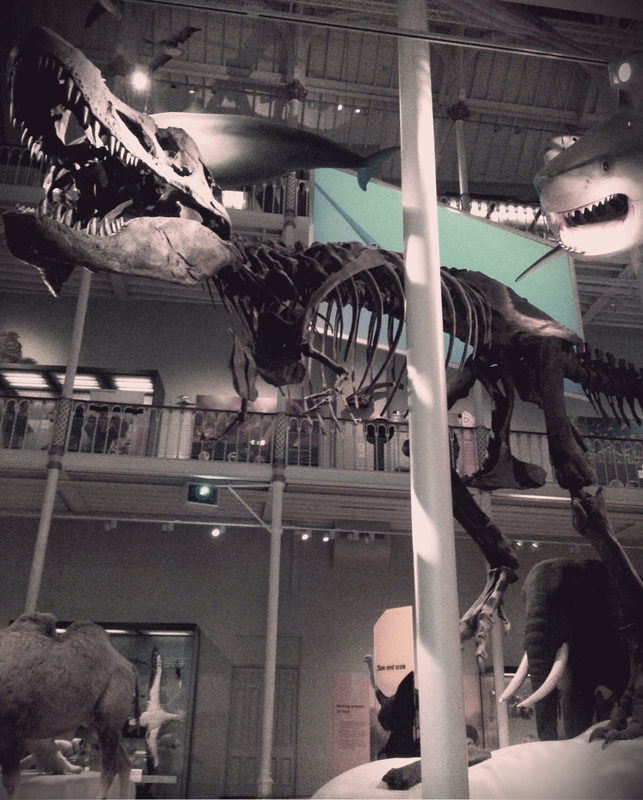 I like to hang out with T-Rex casts in my spare time; how do you unwind? Whenever I find out I’ve been selected for interview, I am inundated with helpful friends trying to offer me advice on what to wear. Whilst such advice is really appreciated, after a while it just has my head in a spin. As someone whose normal style is ‘look a little bit like a rainbow exploded on you, in a co-ordinated kind of way’, job interviews tend to scare the heck out of me. Should I go for super-conservative? Super businessy, fitted suit and everything? Can I get away with a bit of colour or will that look bad? Should I redye my hair so the roots don’t show? What about tights? Arrrgh. Sadly, this wasn’t my biggest concern pre interview! In the end, I compromised. I dragged my lovely boyfriend out with me to buy the main suit bit, and he was excellent at veering me away from the green-and-black-dresses I wanted. But I didn’t go for a skirt and blouse, as that’s just not me. In the end, a simple dress won the day, with smart heels, a black blazer and a bracelet based on a rare book design. I read in Richard Wiseman’s excellent book 59 Seconds that positivity can make a really big impact on potential employers. People are drawn to happy people, particularly if they’re wondering how well you work in a team. Naturally smiling when I’m terrified isn’t something I’m very good at. But on the day, I beamed at anyone I came into contact with. With excellent support from friends and family, and confidence in the preparation I’d done beforehand, I was genuinely excited.